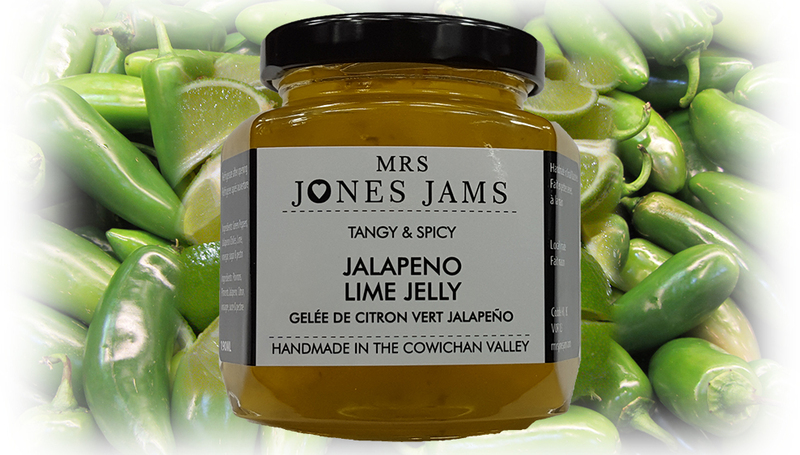 Tangy with lime and spicy with jalapeno chillies this hot pepper jelly has a slightly Mexican feel. Perfect with cheese, corn chips and a cold beer. INGREDIENTS: sugar, vinegar, jalapeno chillies, green bell peppers, lime & pectin.